The first half of summer is gone, but we still have another half! And of course, there are many ways to look stylish and many various cool summer outfits that we haven’t discussed. So today let’s consider outfits with beige shorts. I think that these shorts are necessary pieces of clothes for every woman. You can create many fashionable looks with them and wear them for any occasion. For making outfits you need to decide what type of shorts you want. The best shorts are the shorts that match to your figure. If you’re petite, choose mini shorts cause they will give an illusion of longer legs. You can pair them with heels or platform sandals to elongate your legs more. Also to make your legs longer, you can pick up high-waisted shorts, right now they are super trendy by the way! 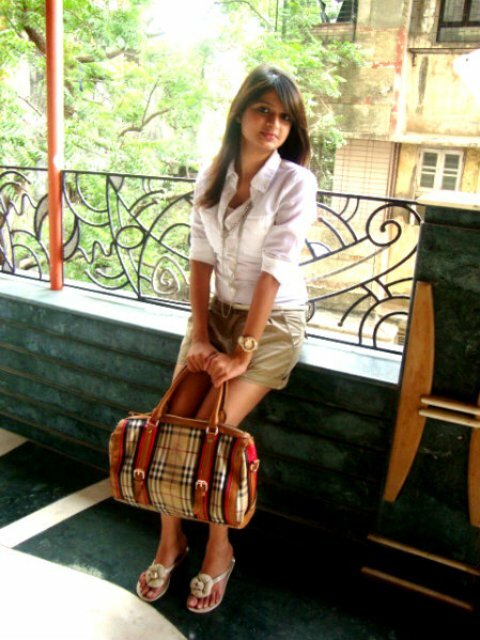 If you have narrow hips, you should choose shorts with various details such as pockets, bow belts, décor elements, etc. to make a volume in the hip area. Don’t pick up too tight and short shorts to keep your figure balance and feel comfy. No doubt a look with beige shorts and a white shirt is one of the most popular clothes combinations. Depending on your whole style for any occasion you can find white airy blouses, tight tops, classic button down shirts or funny slogan t-shirts. You can add some accessories, for example, bright color thin belts, straw wide brim hats, crossbody bags or clutches, statement necklaces. And don’t forget to choose the right shoes, cause changing only them you can change the whole style of your look. Pay your attention to lace up heels, loafers, printed pumps and flats. For more gentle summer looks you can choose pastel color shirts and light color accessories. Now you can scroll down to see other ideas of wearing beige shorts. Enjoy! Feminine pastel color look with beige shorts, hat, blouse and loafers. Suitable for work! With blue button down shirt and brown bag. Great for interview or for an office.